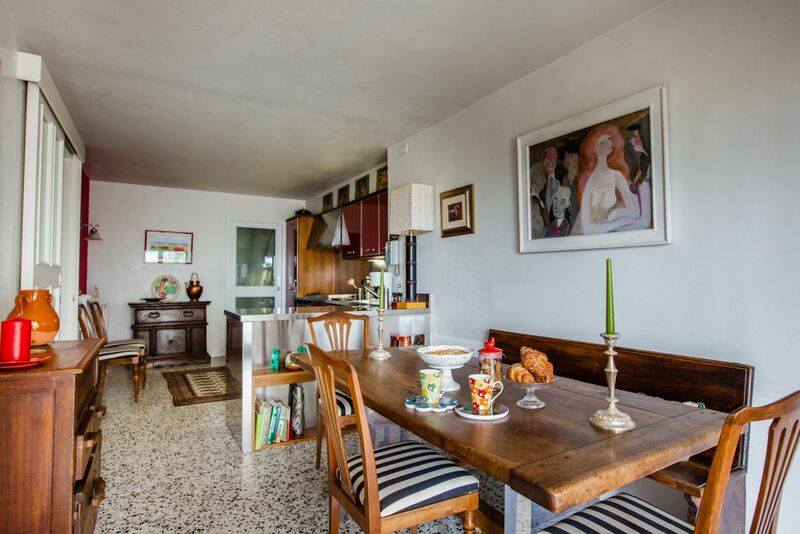 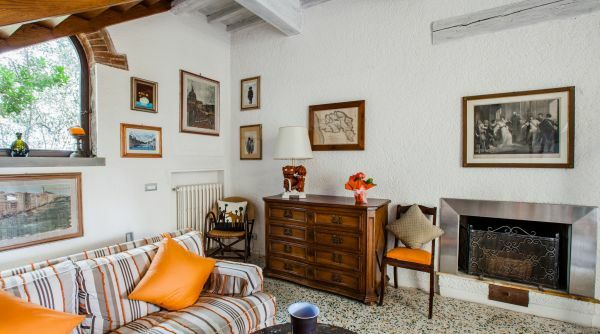 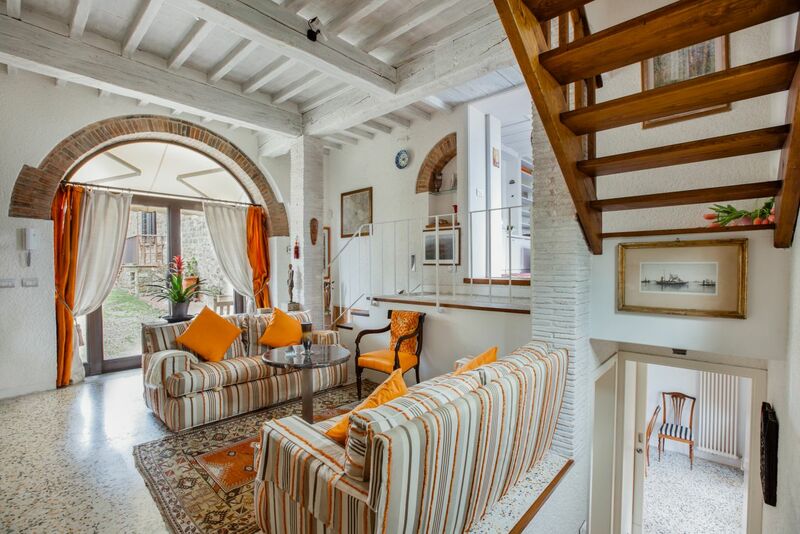 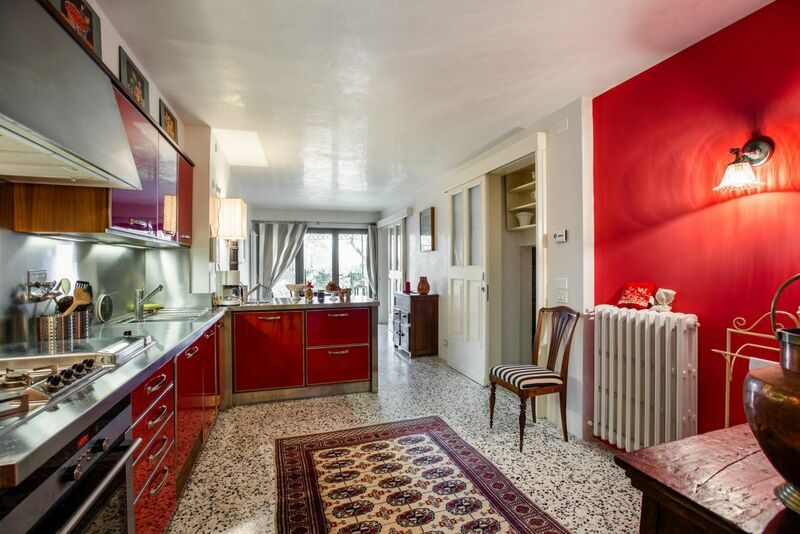 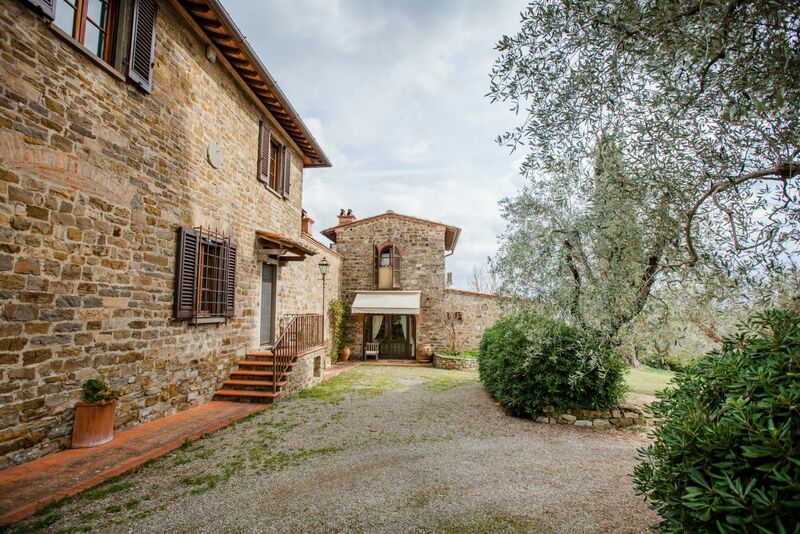 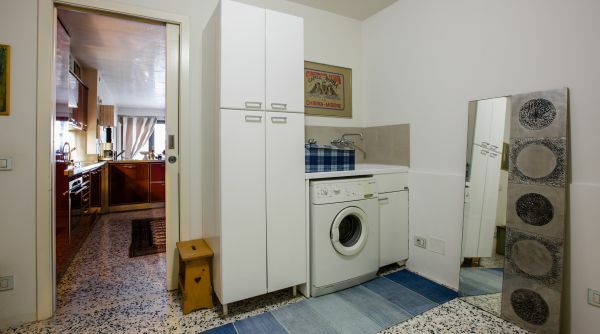 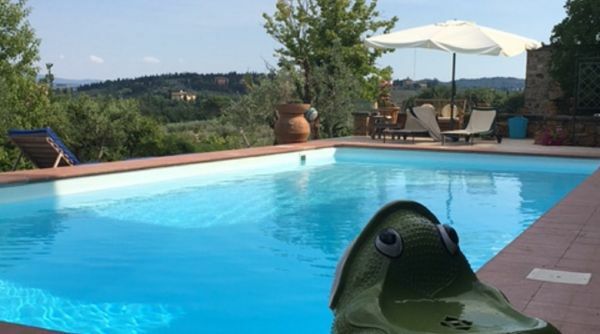 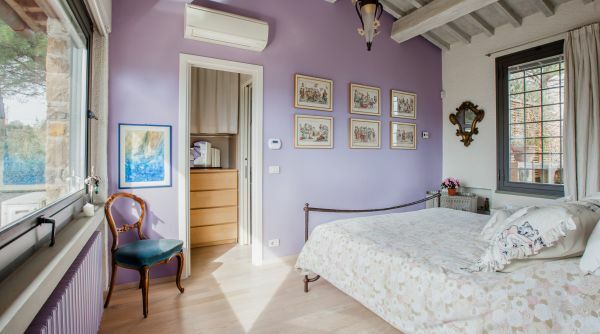 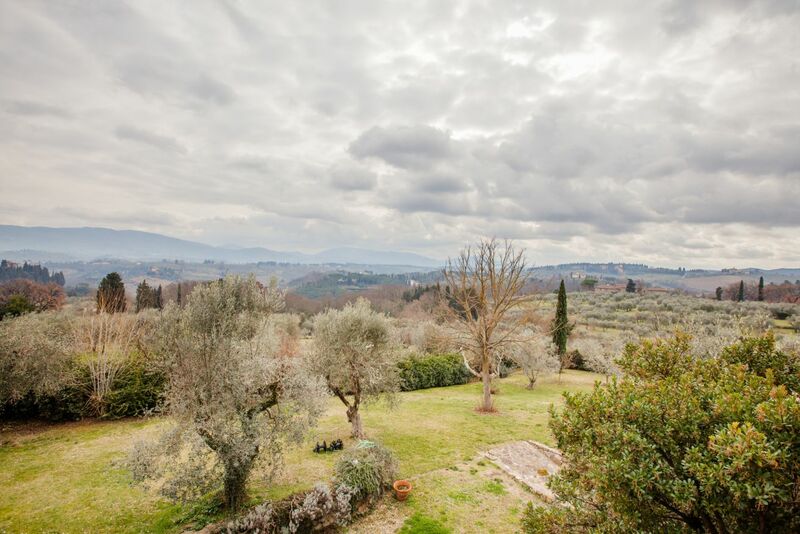 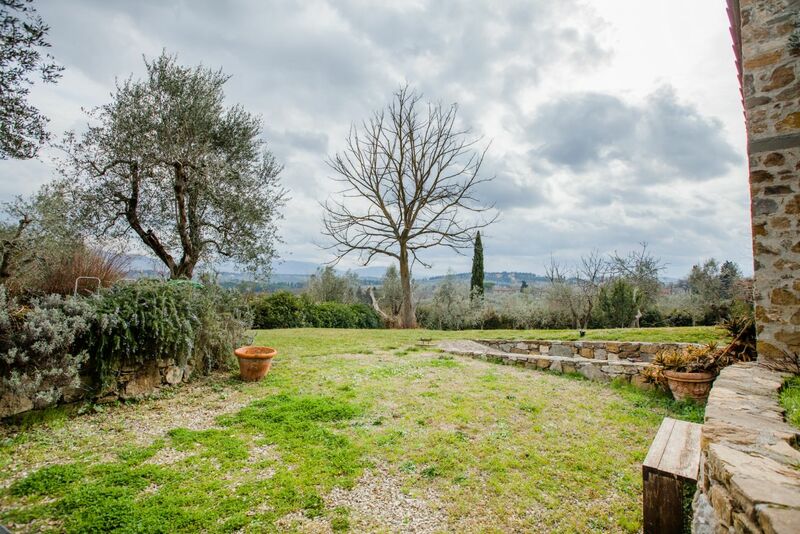 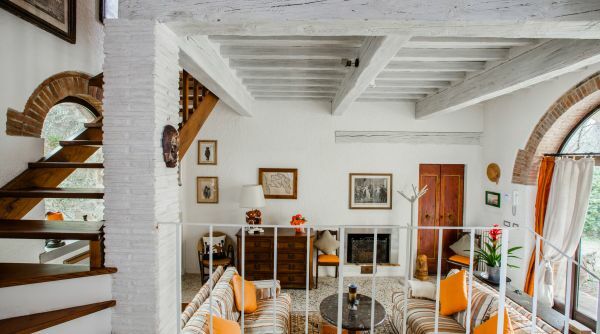 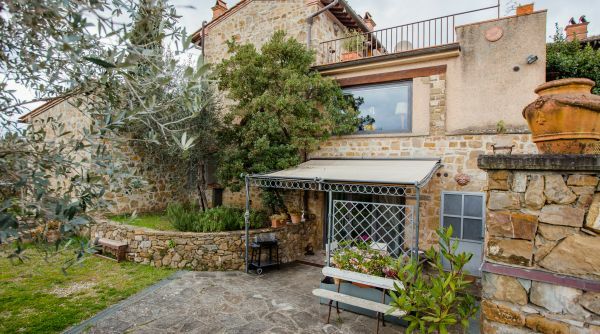 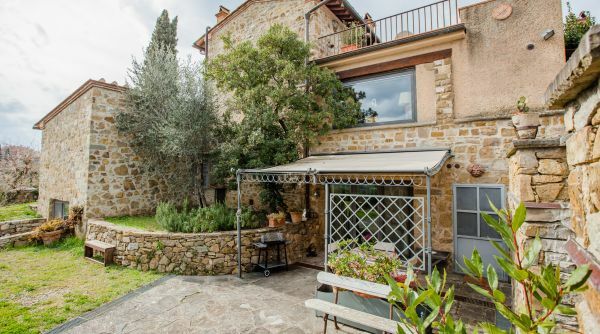 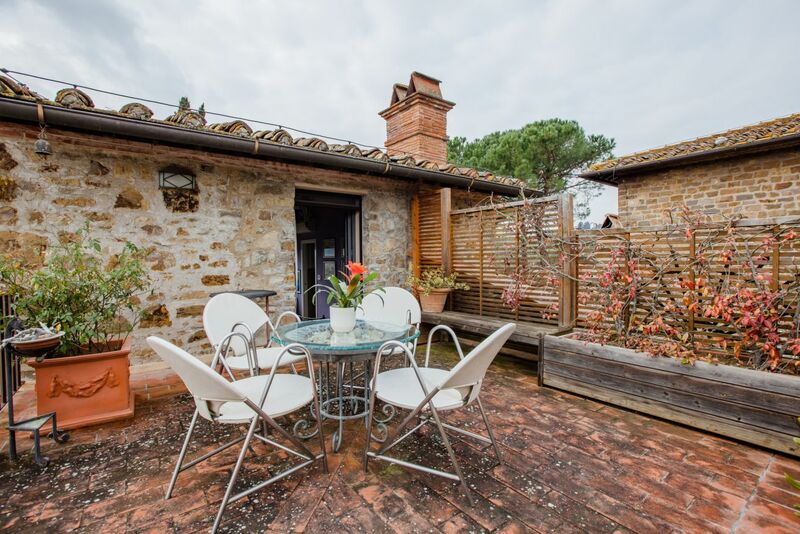 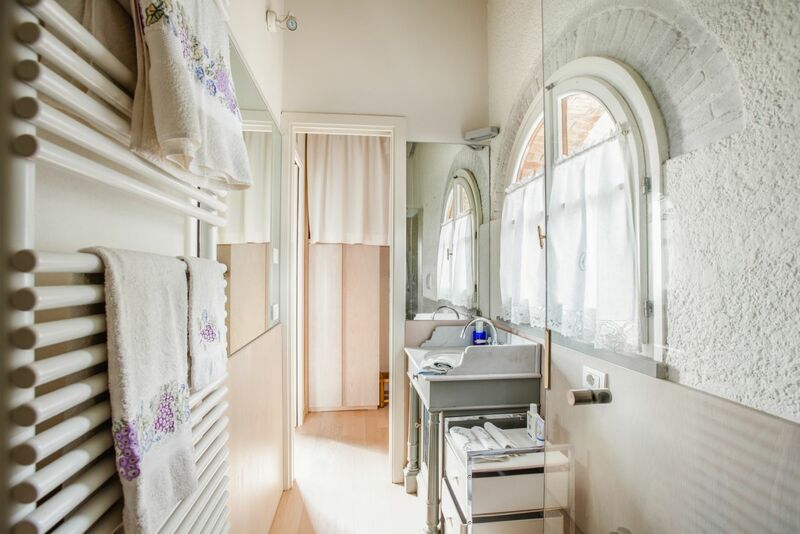 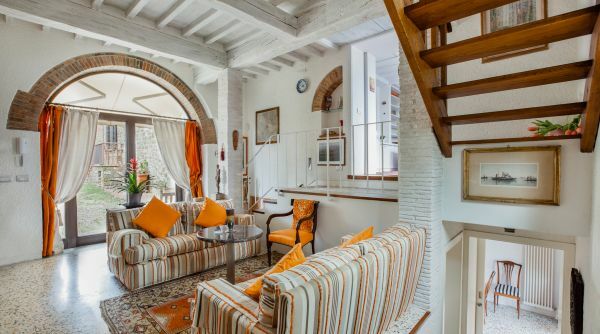 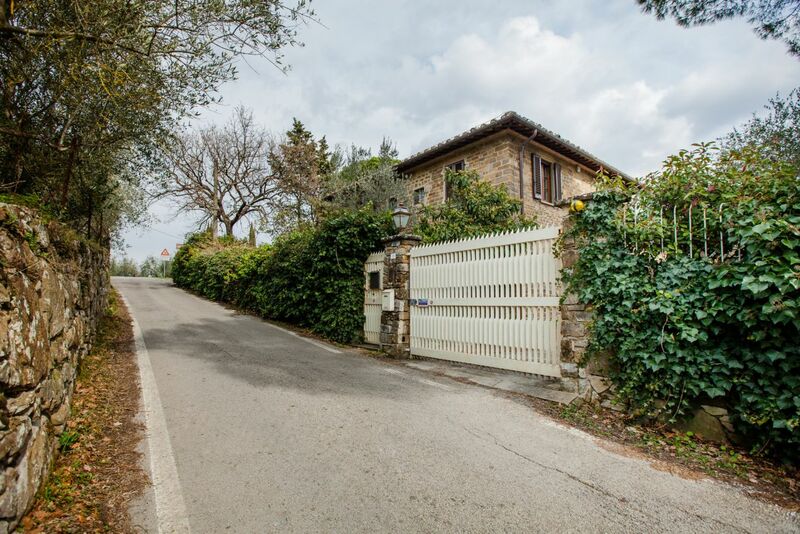 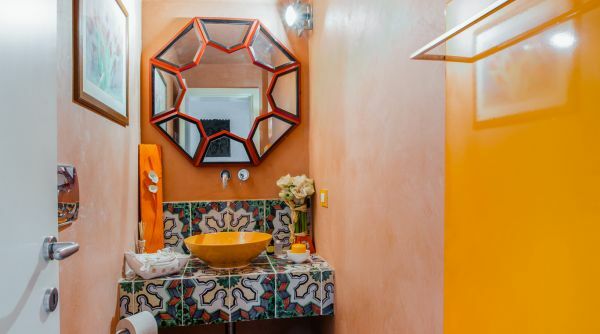 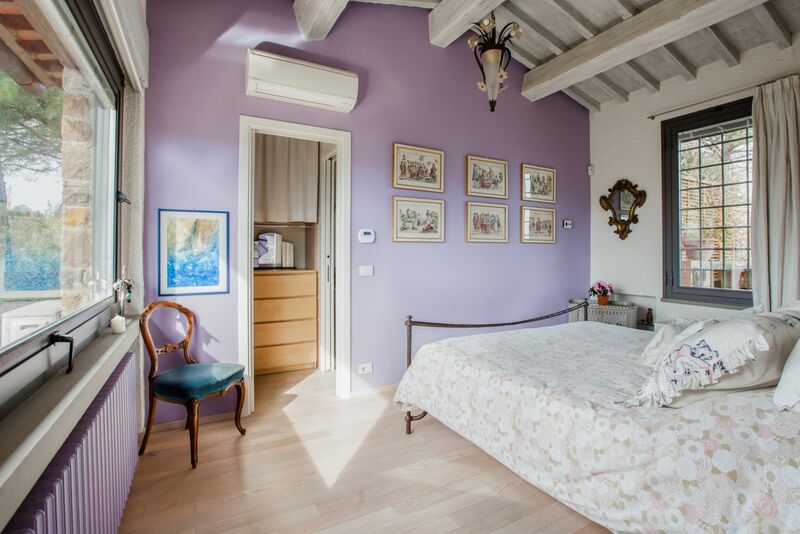 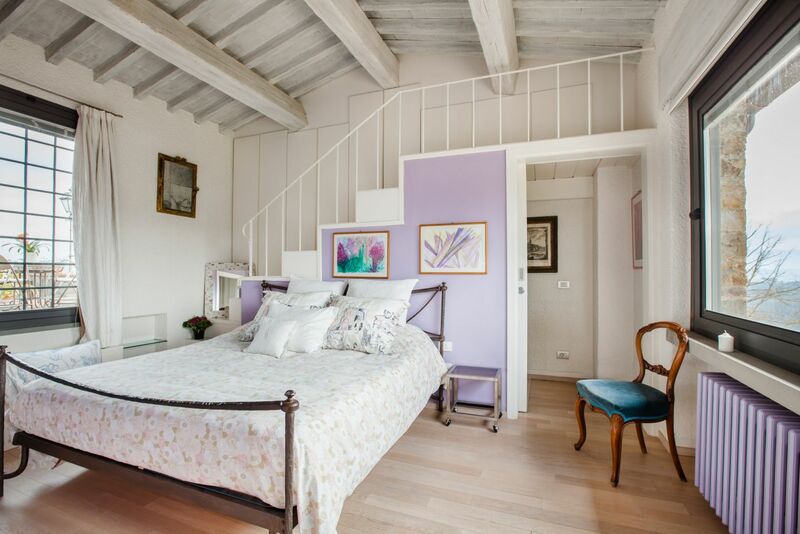 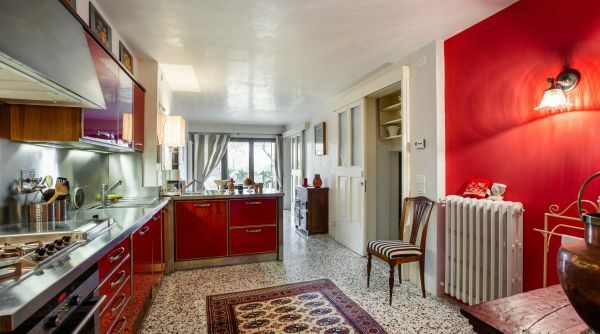 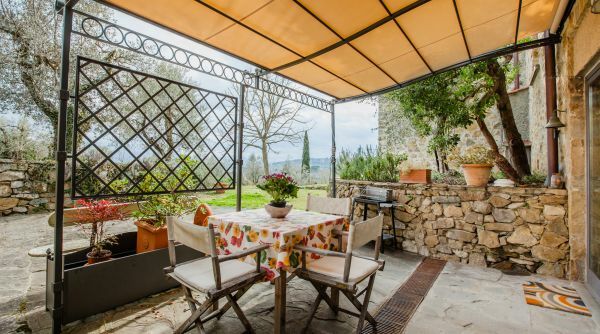 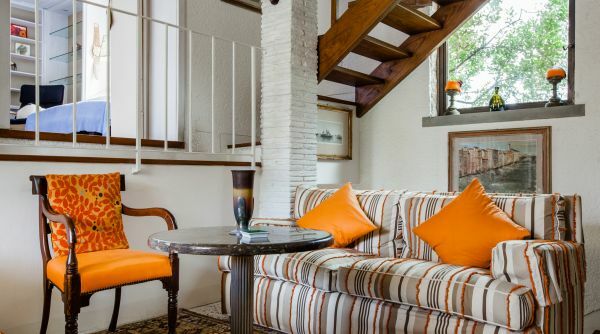 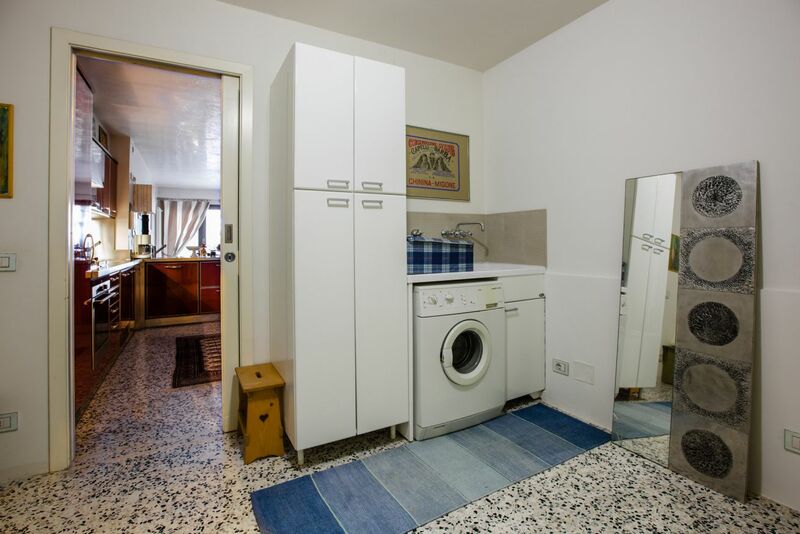 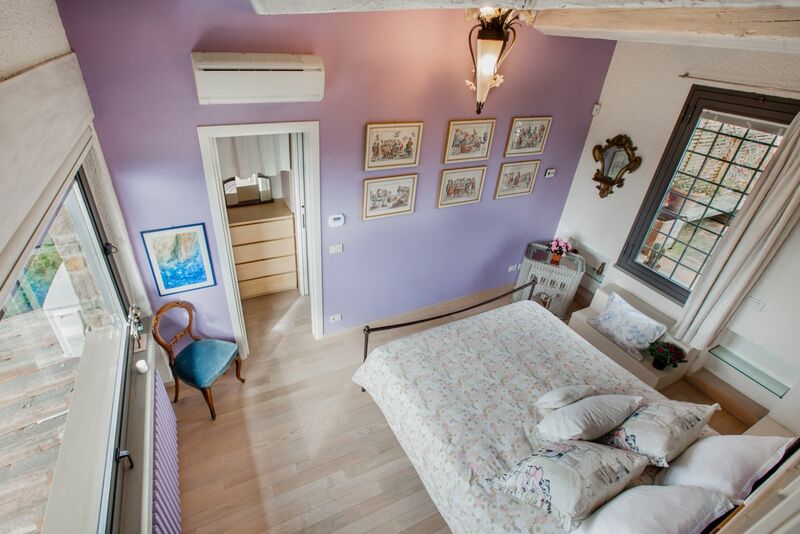 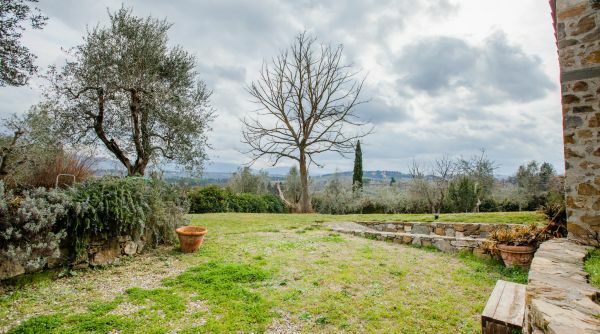 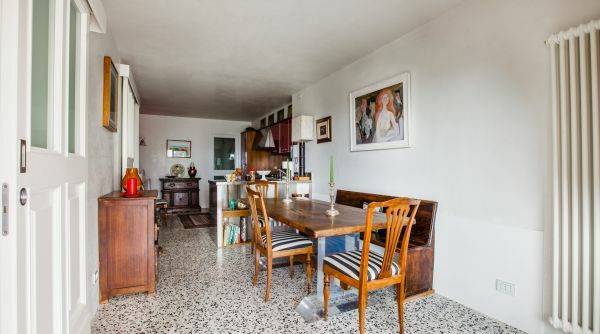 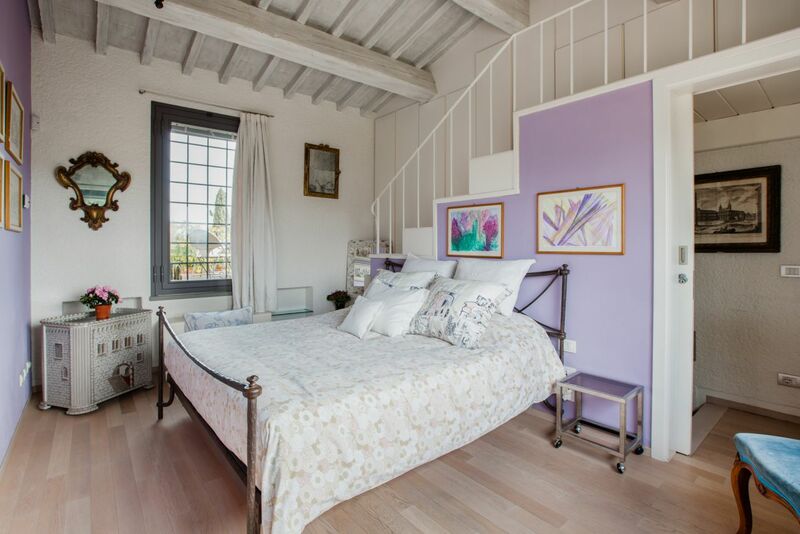 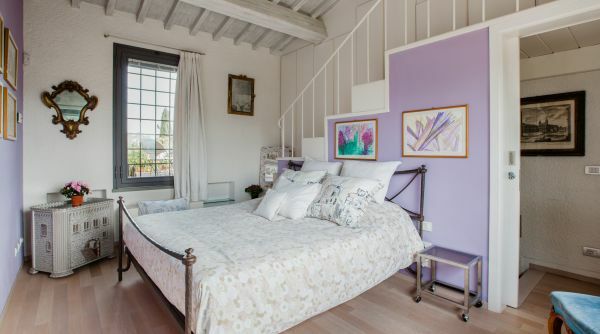 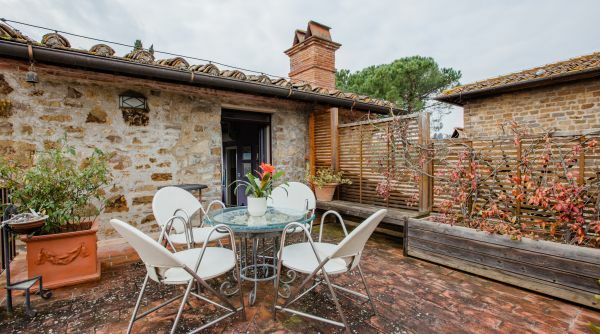 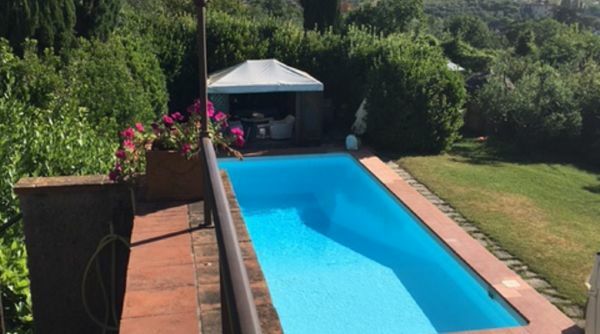 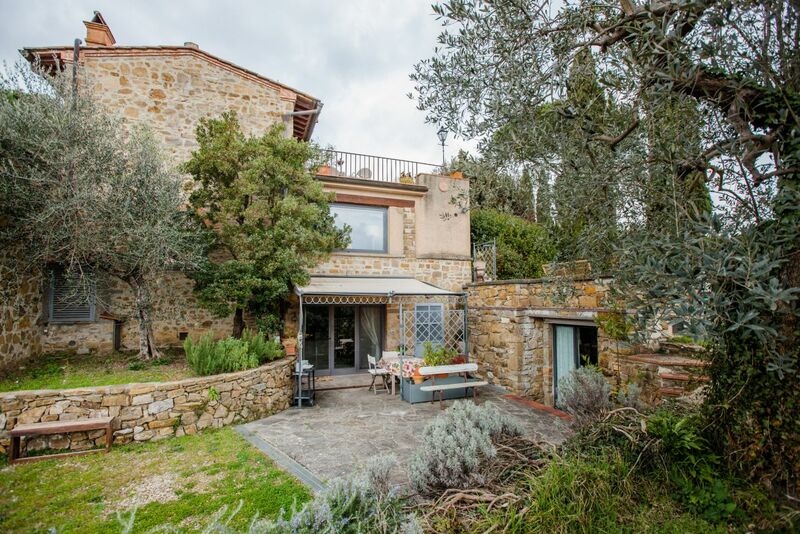 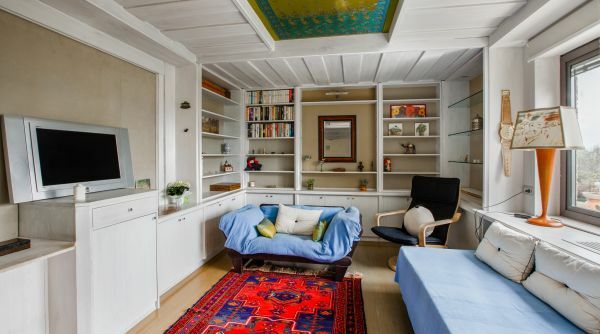 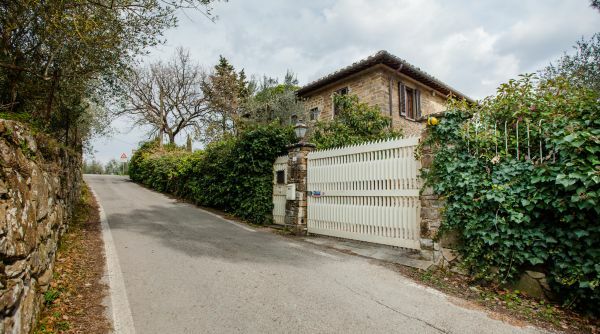 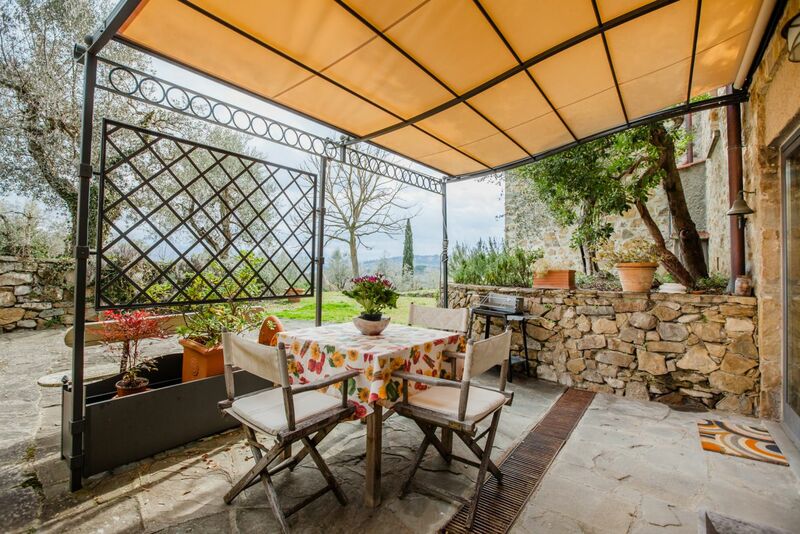 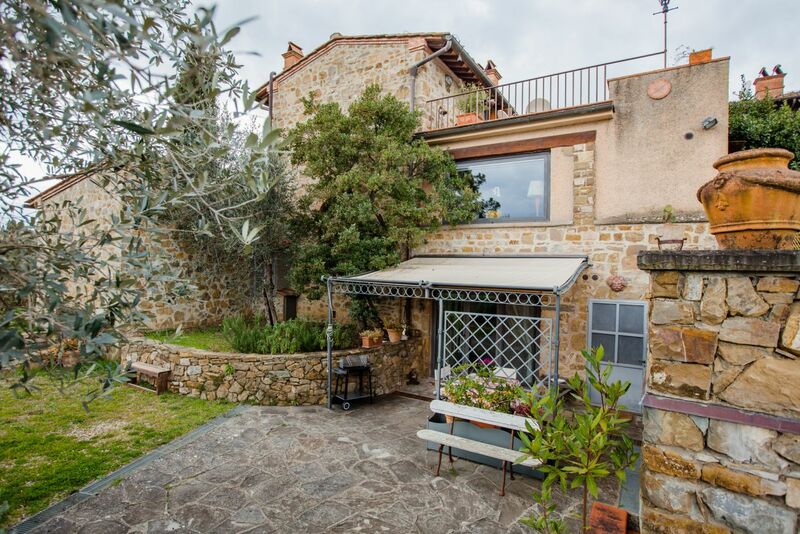 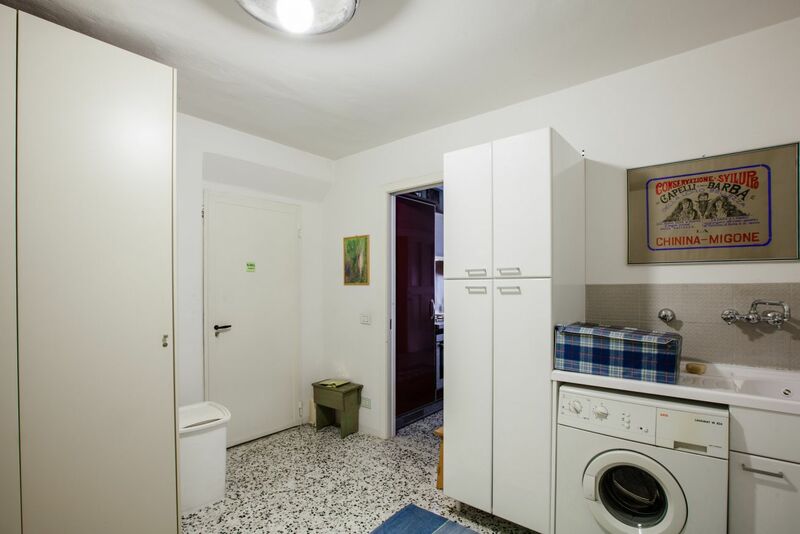 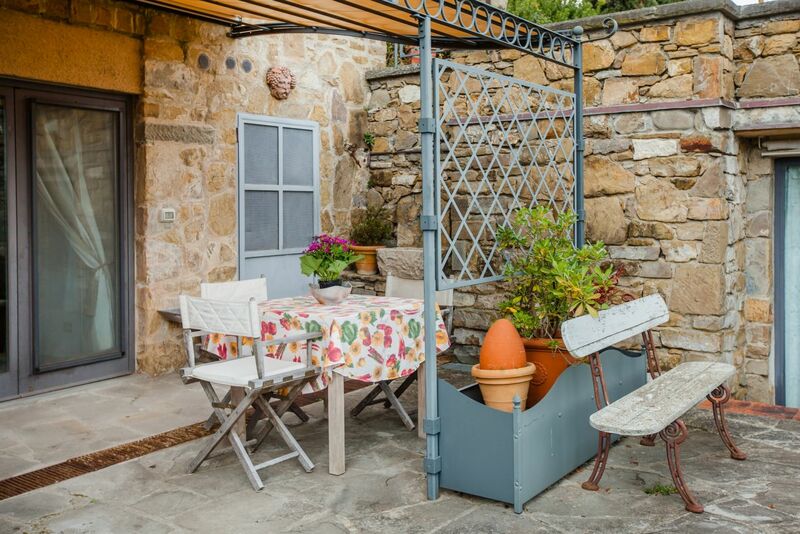 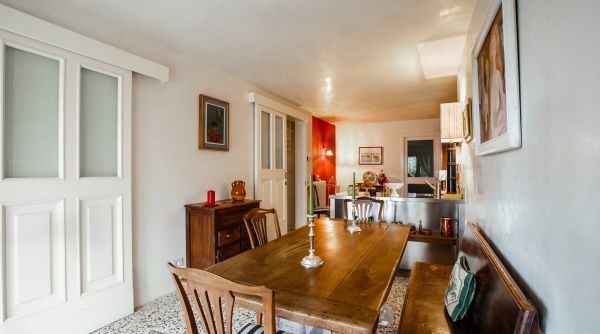 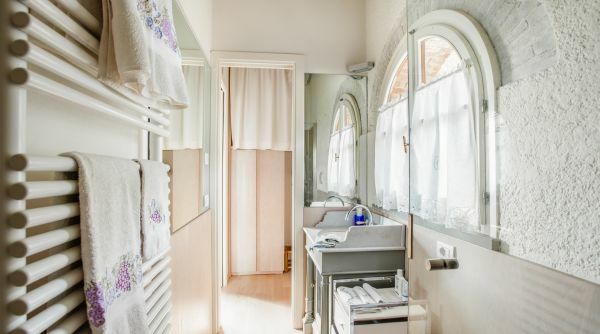 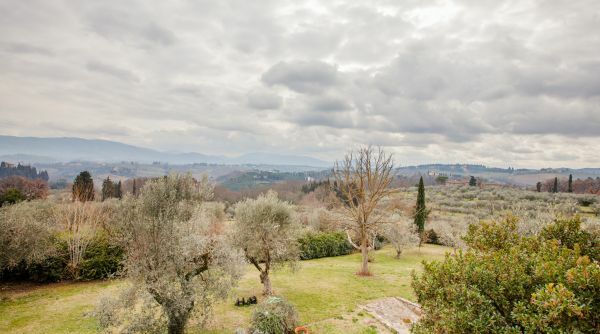 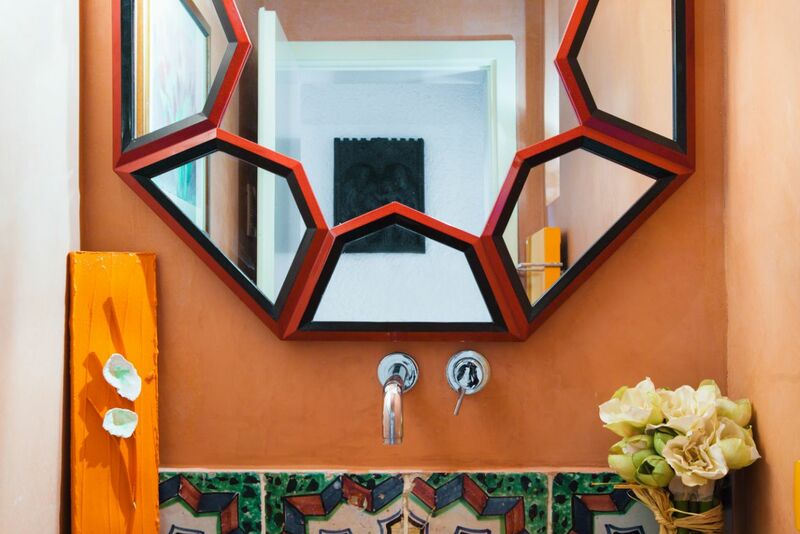 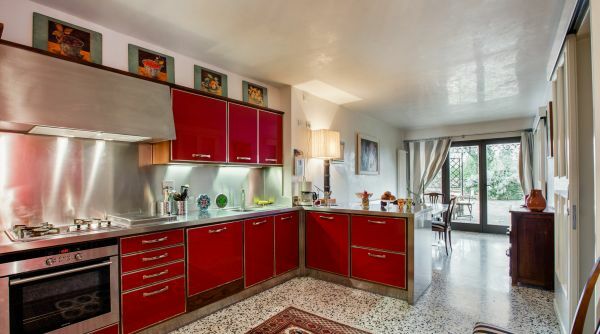 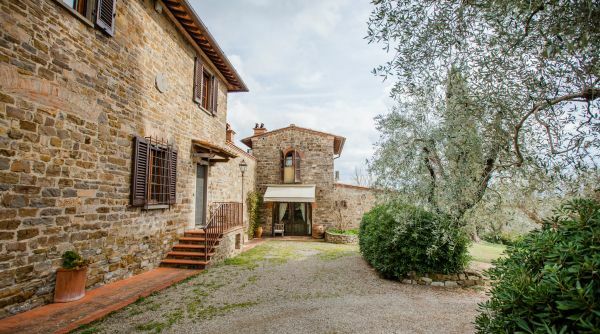 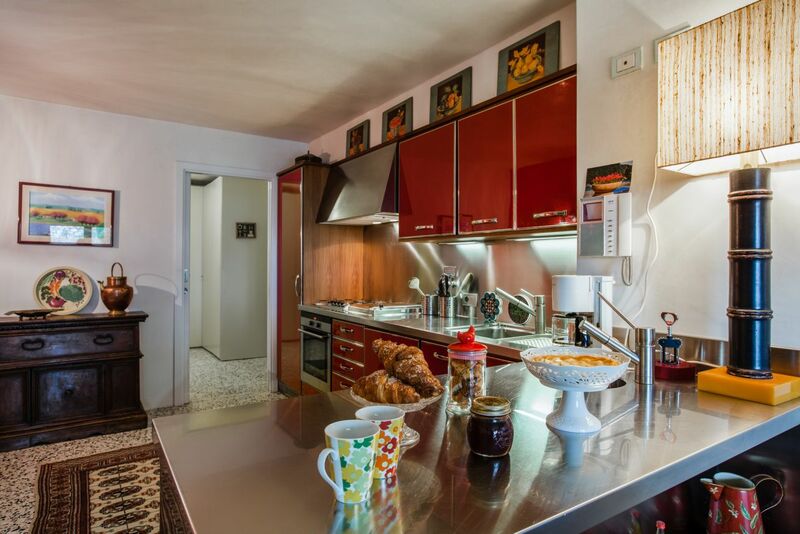 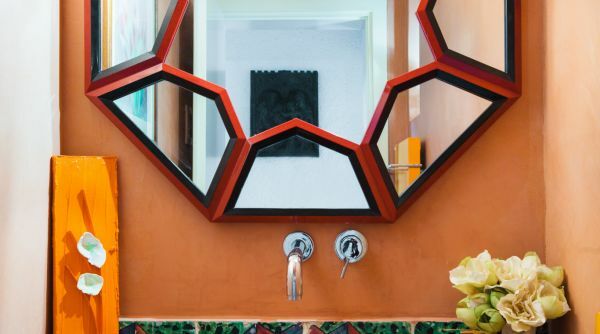 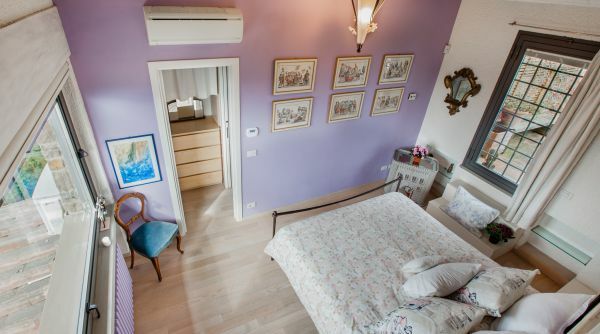 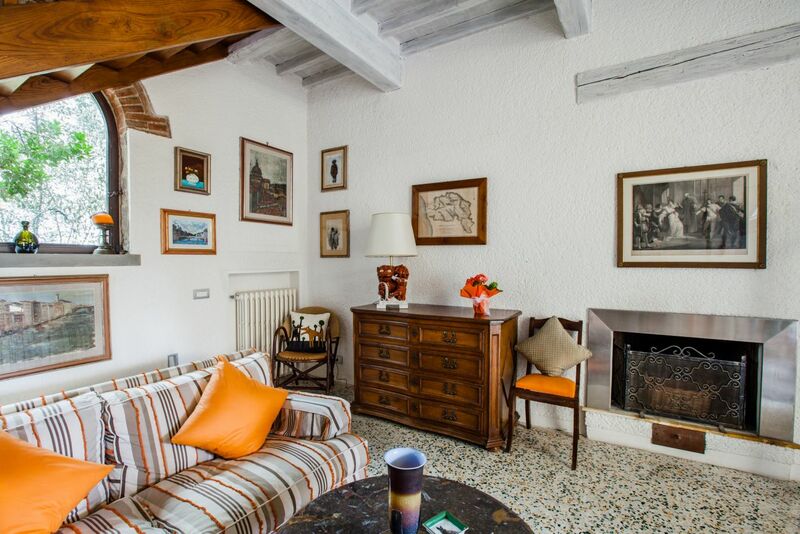 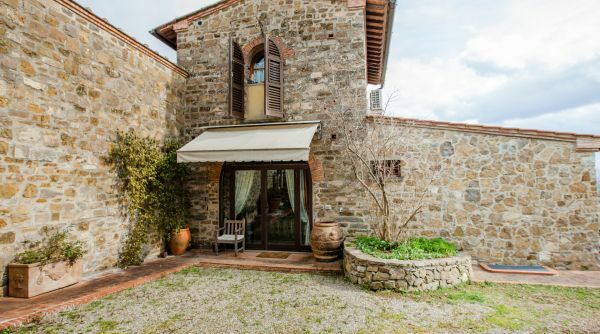 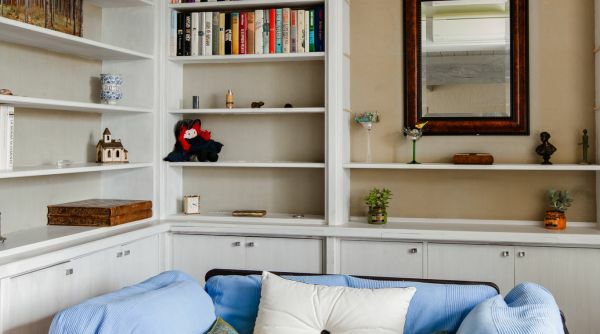 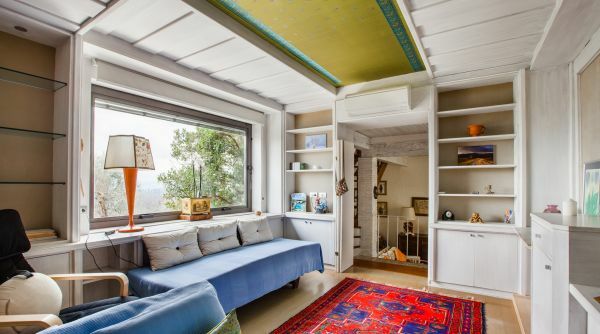 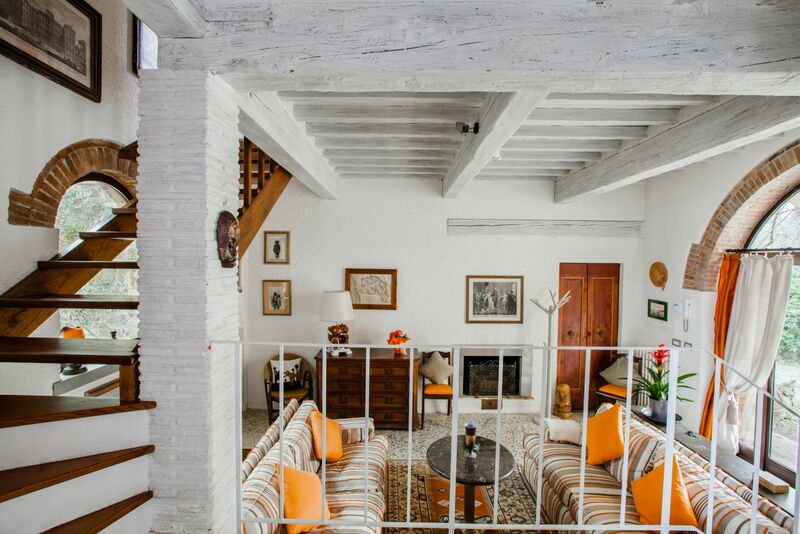 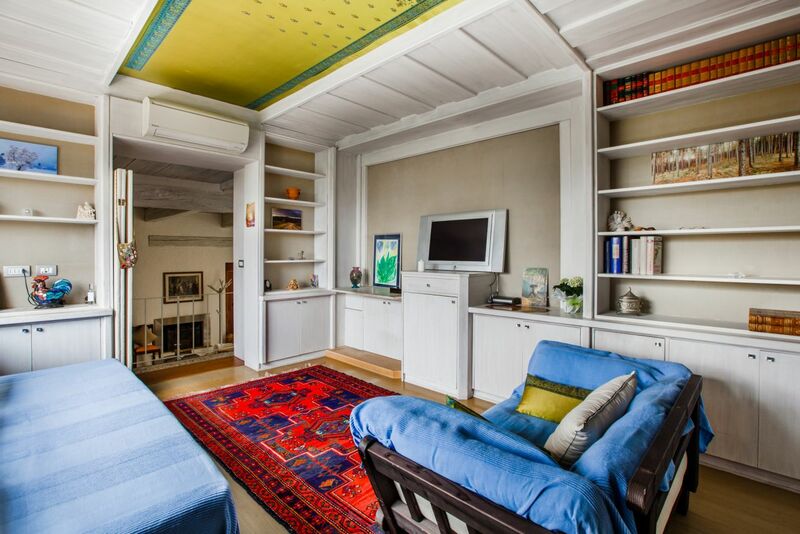 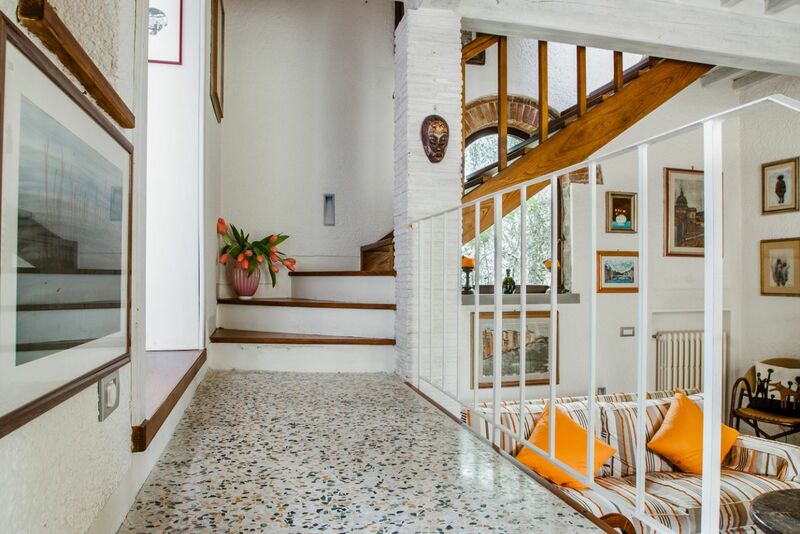 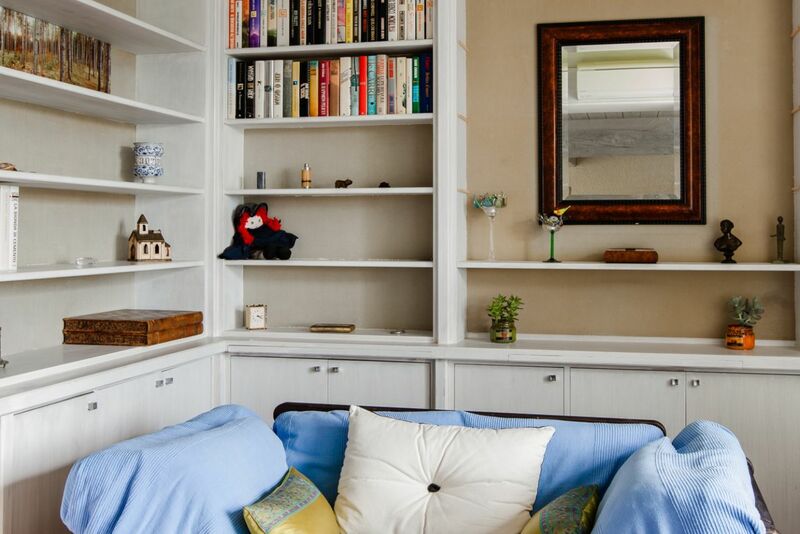 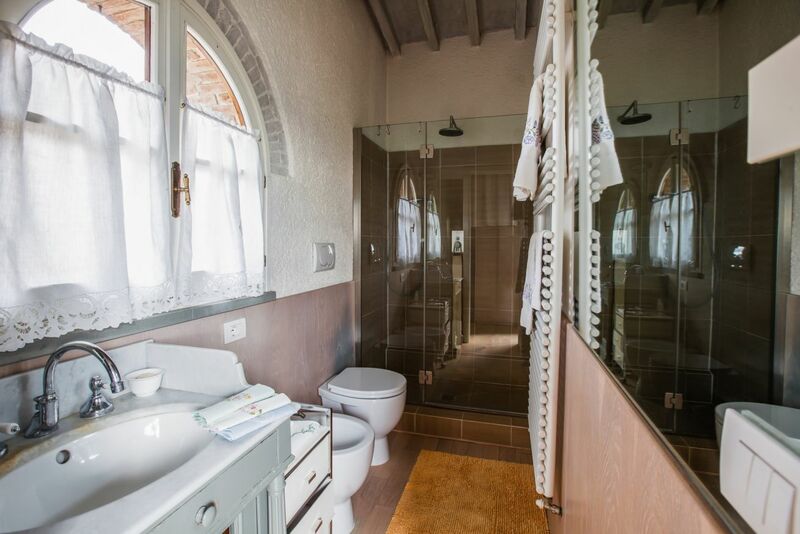 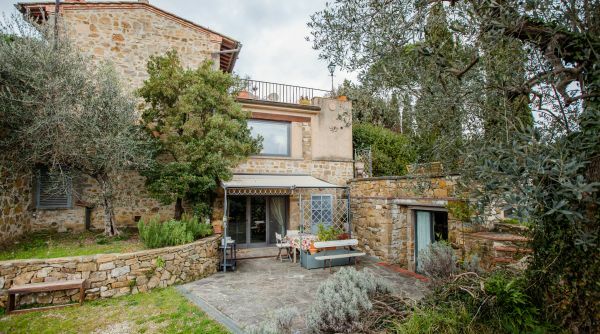 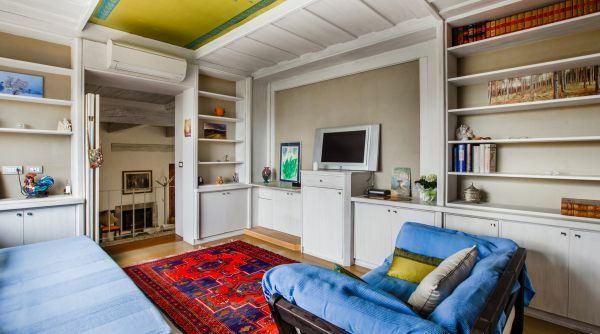 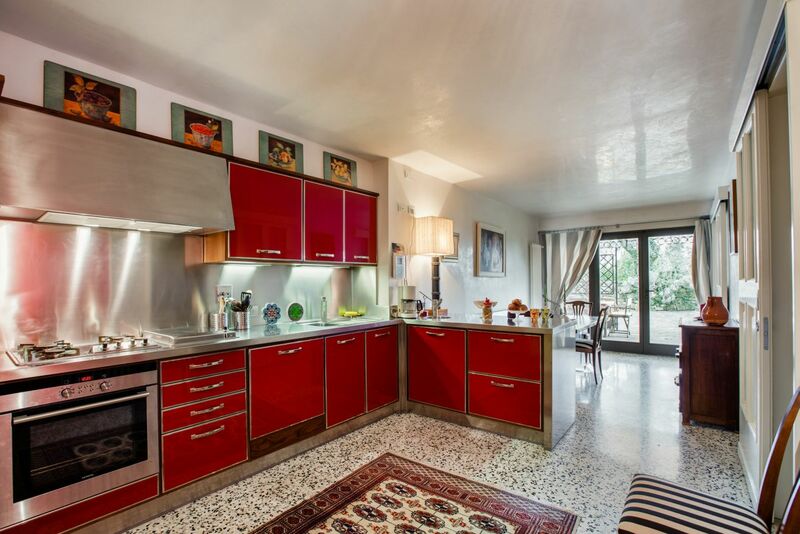 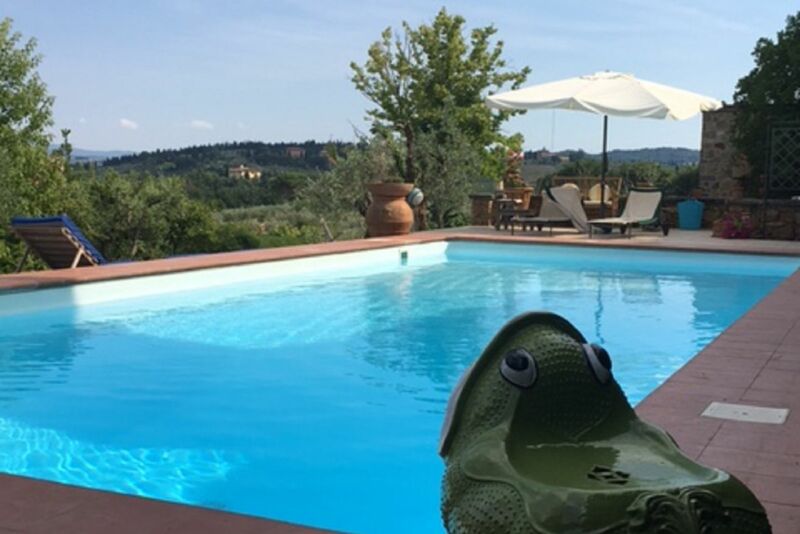 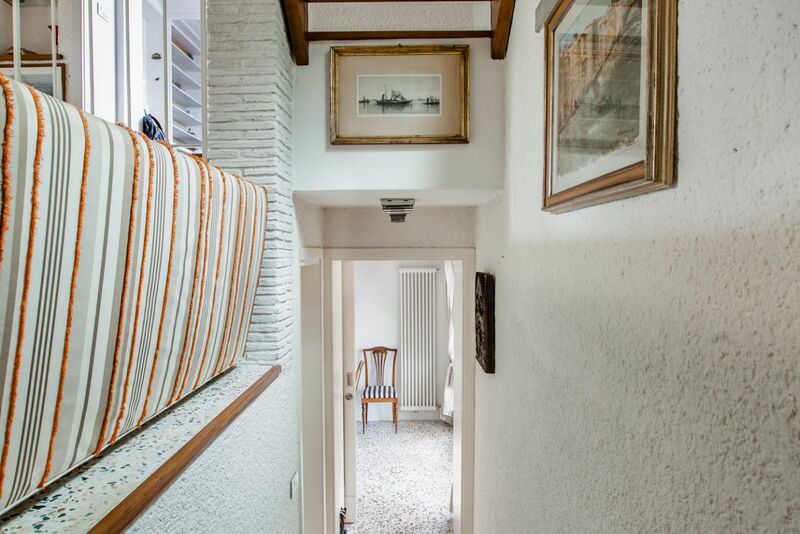 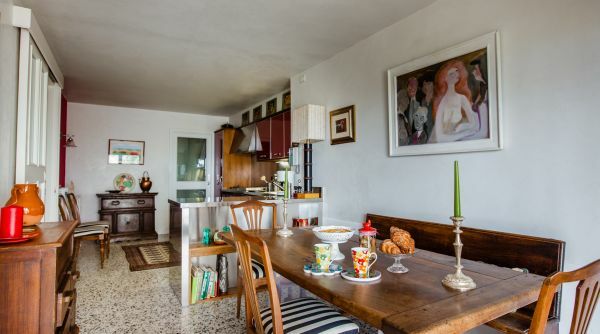 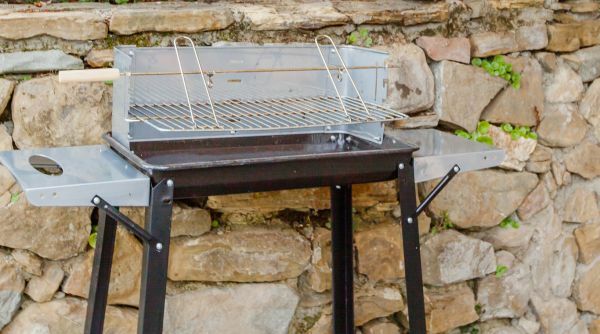 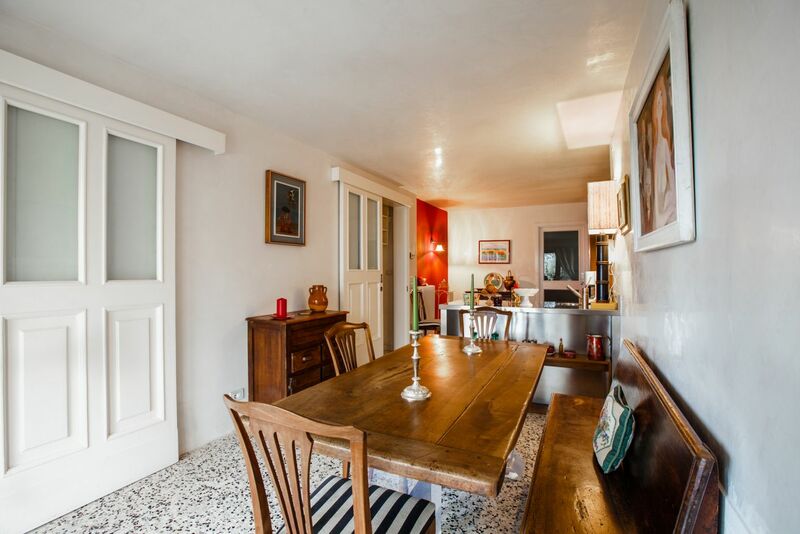 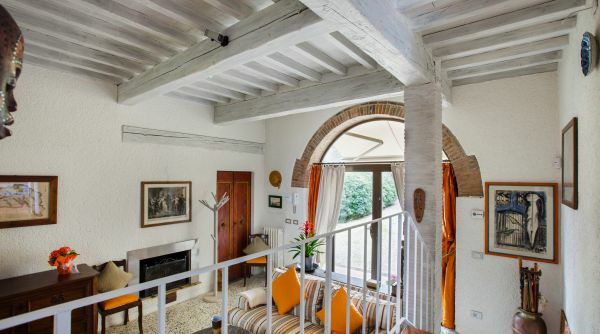 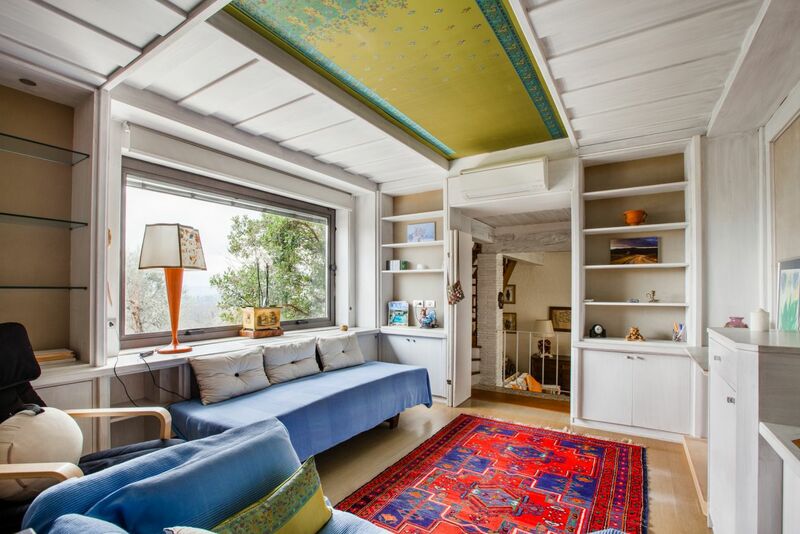 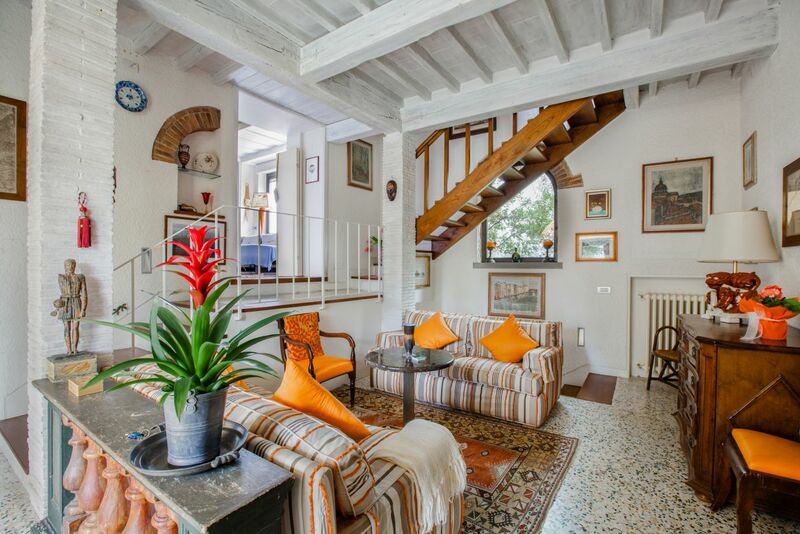 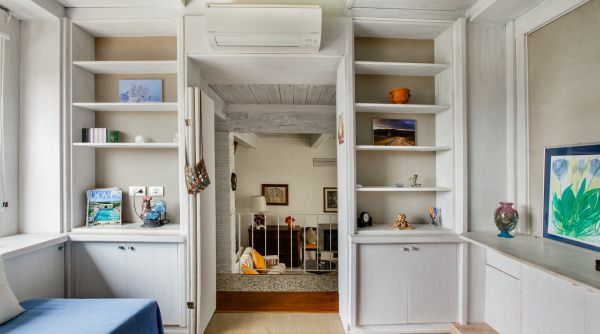 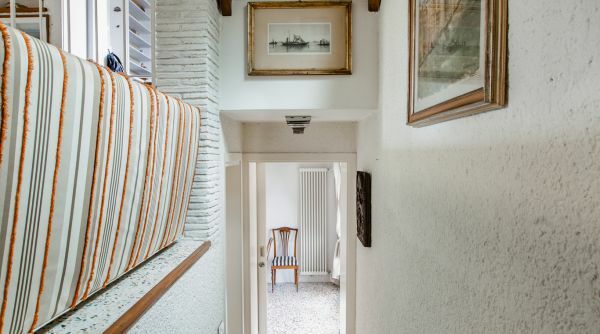 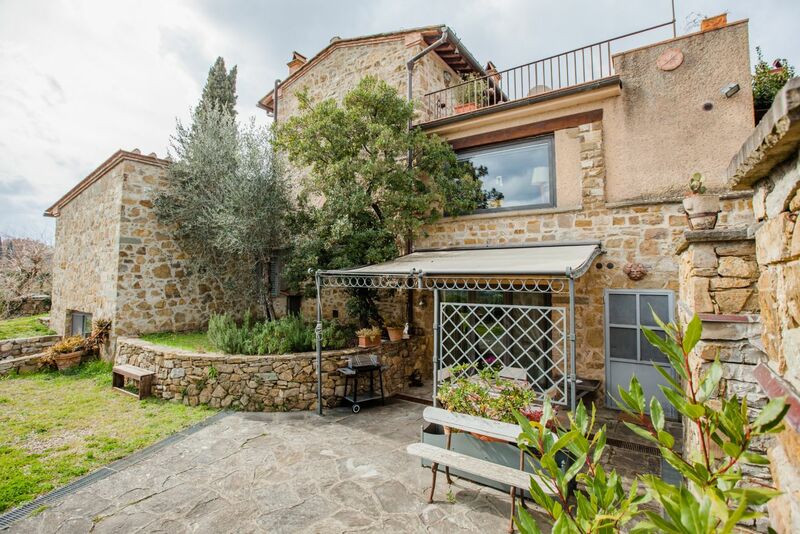 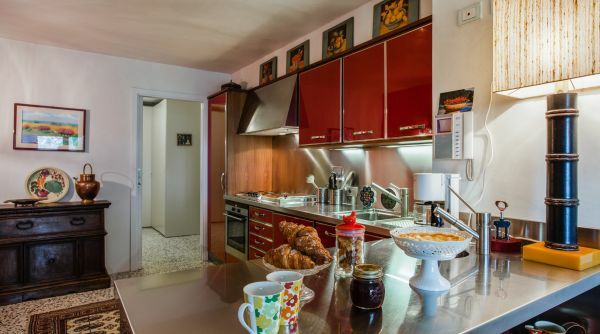 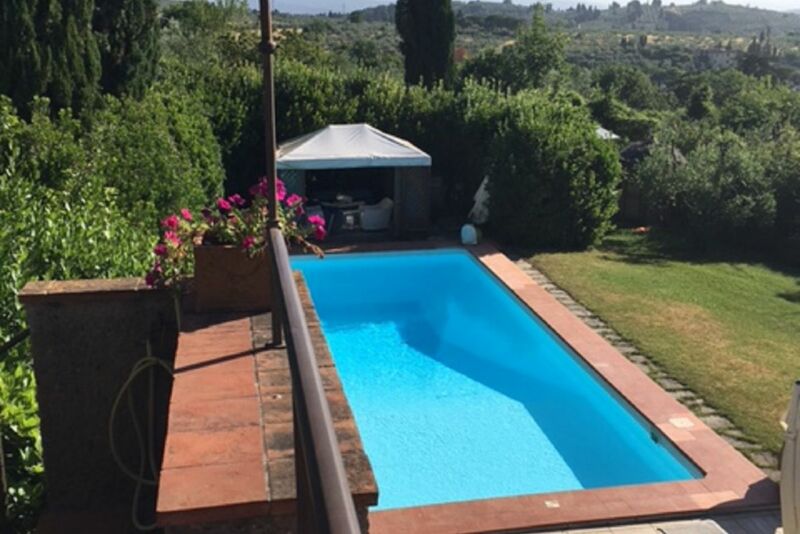 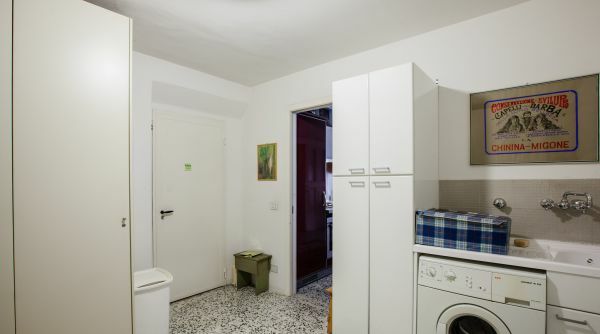 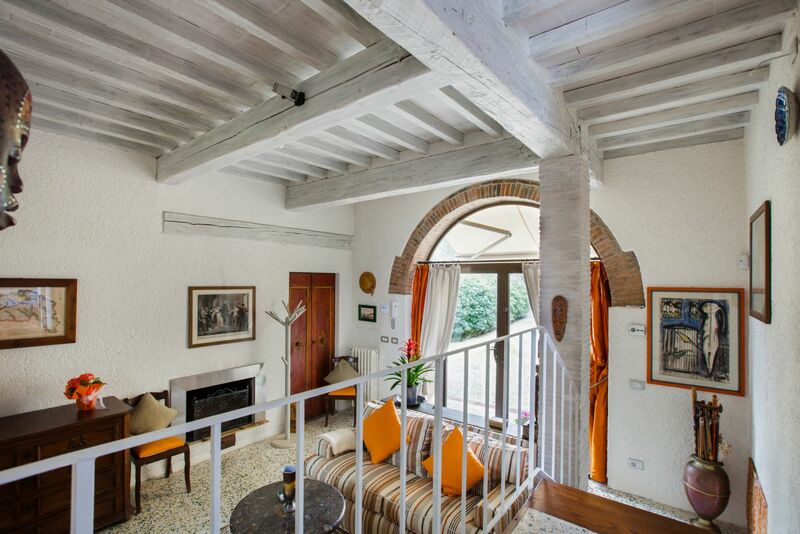 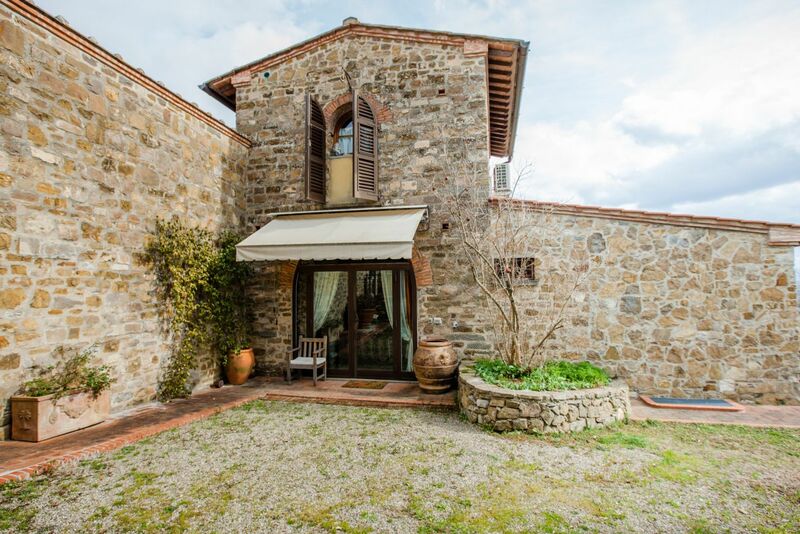 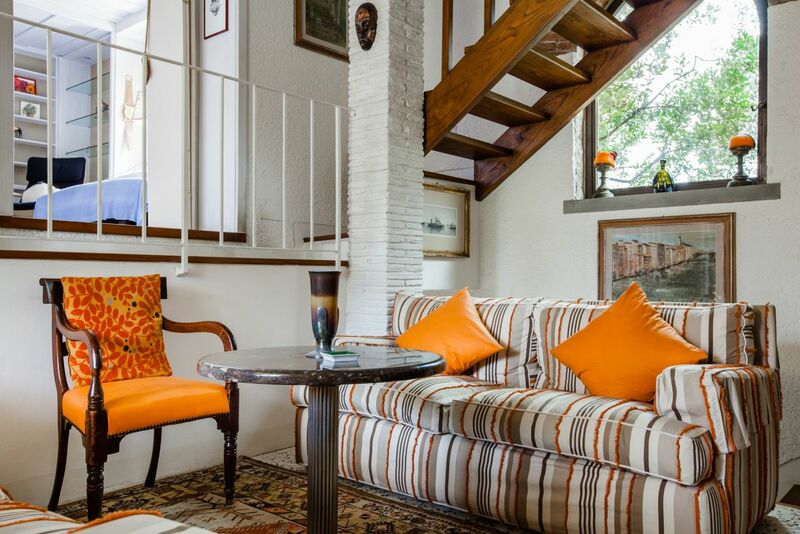 The apartment is a typical Tuscan “fienile”, which is a portion of a stone farmhouse, first renovated in the seventies and then again in 2005 when it was converted into an independent structure. 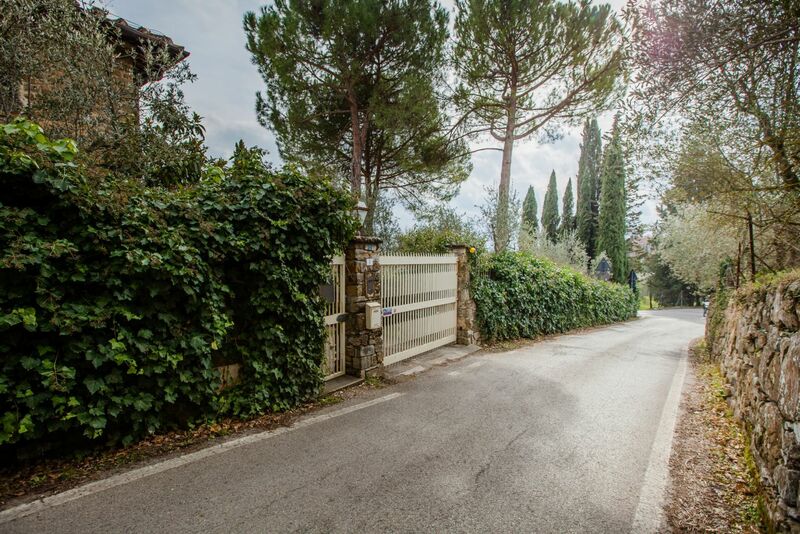 The Fienile Poggio Secco is surrounded by a garden full of cypress trees, pine trees and laurel hedging. 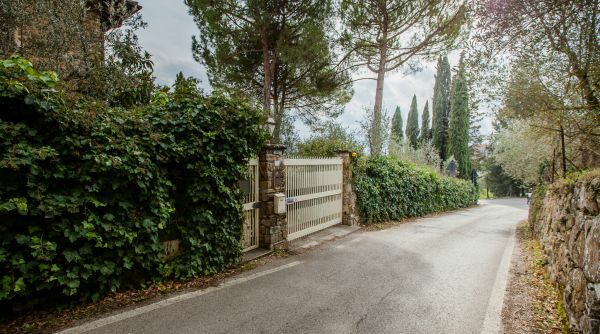 There is direct access via an automatic gate and exclusive covered parking area. 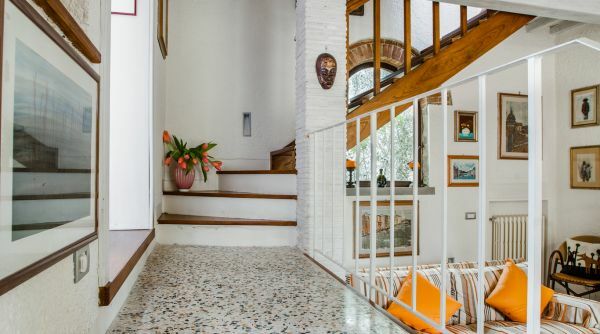 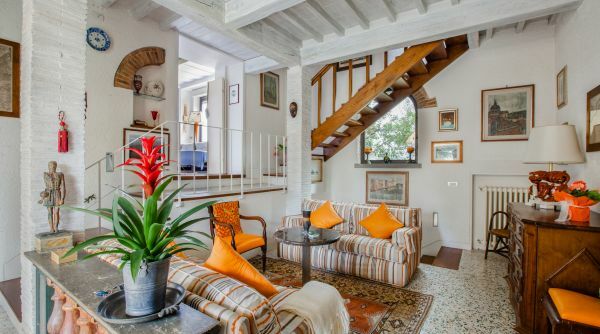 The ground floor entrance gives onto the living area, a bright room featuring a beautiful wooden staircase contrasting with the white dominant beams and masonry columns that give it a more modern look. 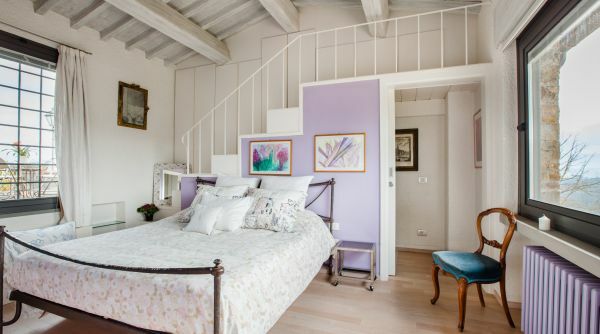 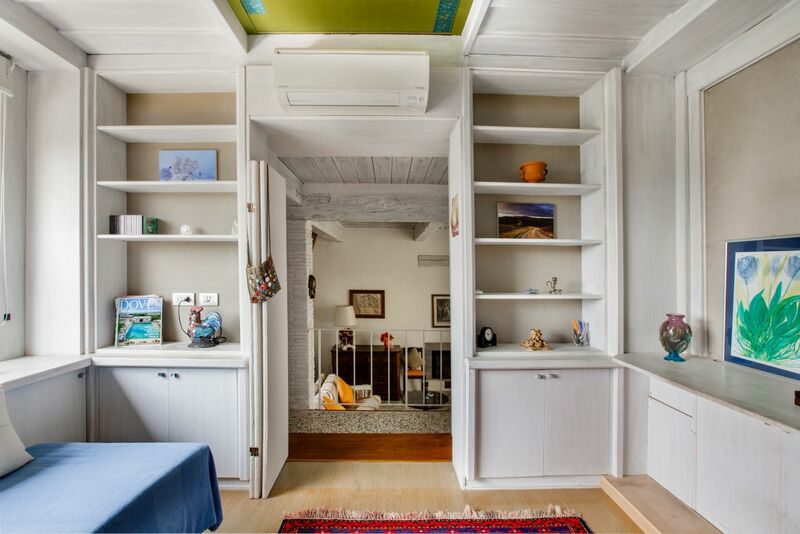 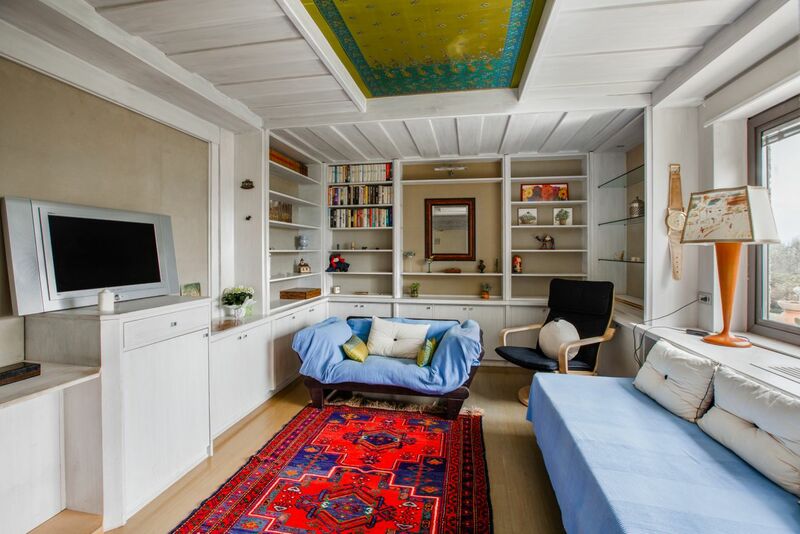 From this room you go up a few steps to access the second bedroom / studio with two single beds. 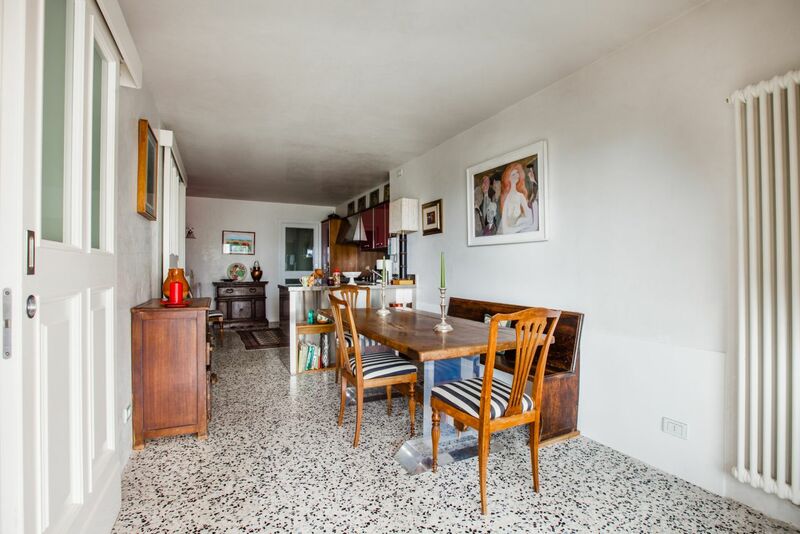 It is very bright with a window overlooking the garden. 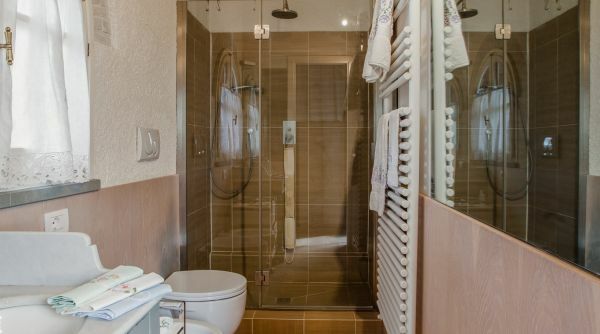 Please note that this room does not have a regular door but a screen. 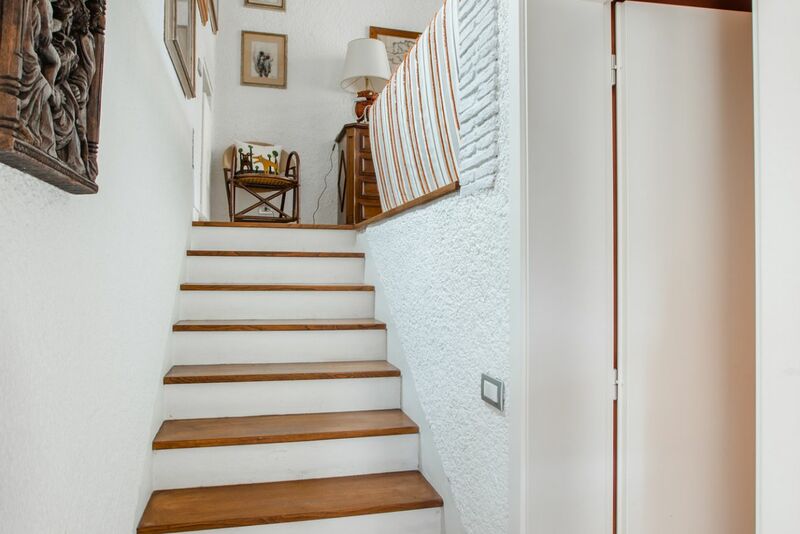 Going up the stairs you get to the master bedroom with a bath. 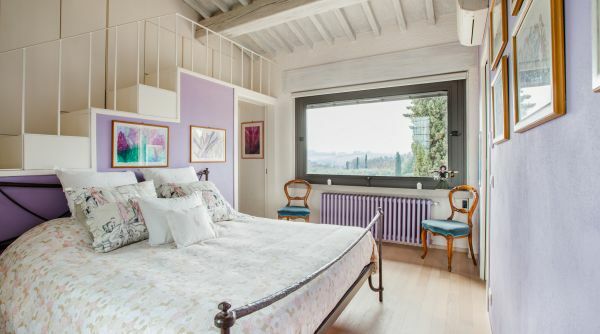 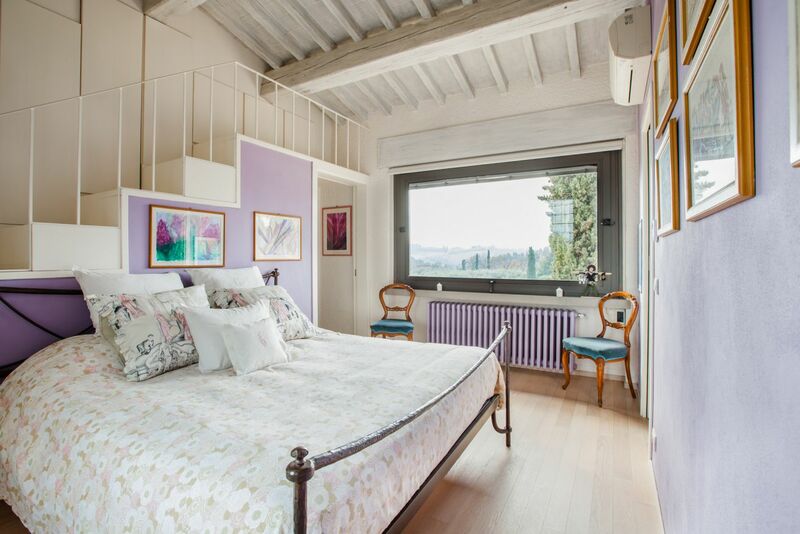 The room has a beautiful window that looks like a picture of the Tuscan countryside as well as a window door to access the exclusive terrace equipped with teak square table, chairs and umbrella. 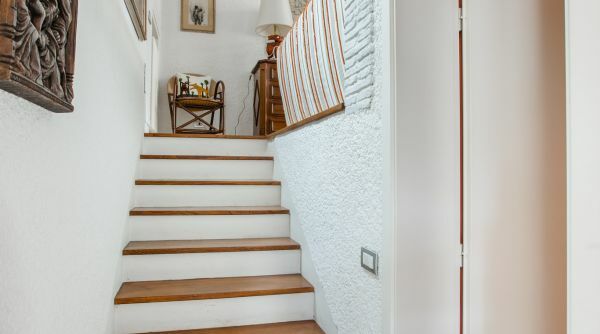 Down the stairs you will go back to the living room / entrance and from there you will descend further into the basement kitchen and dining area with a small guest bathroom and wardrobe ( as well as with cabinets, washing machine, and laundry). 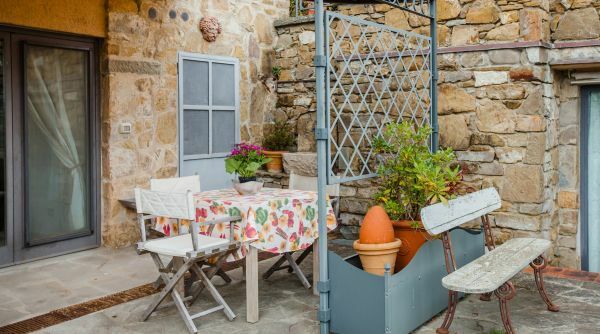 From the dining area you enter the garden where you will find a large rectangular table to eat out on sheltered from the sun. 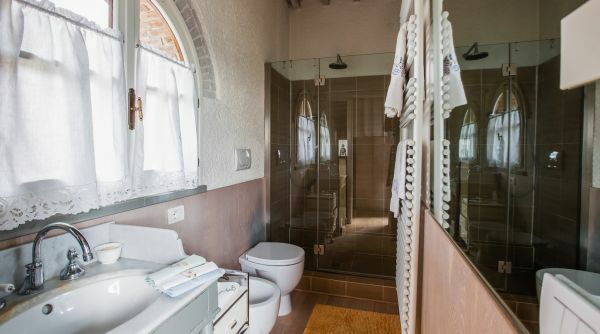 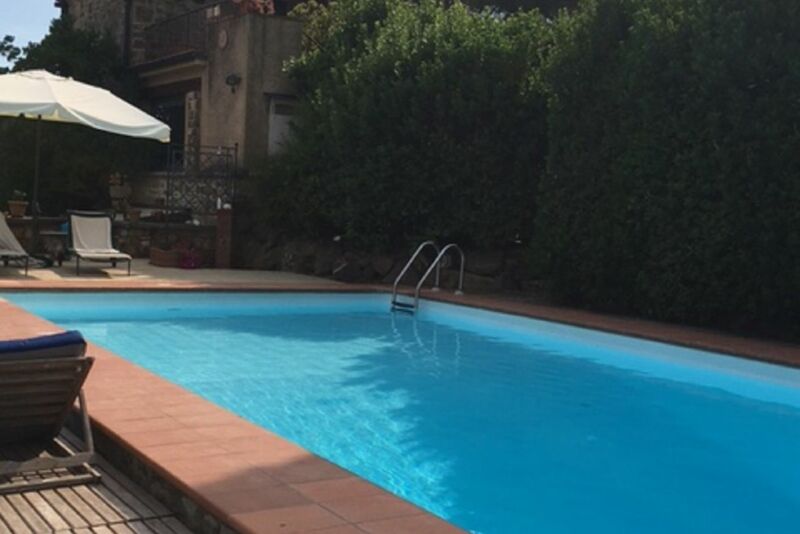 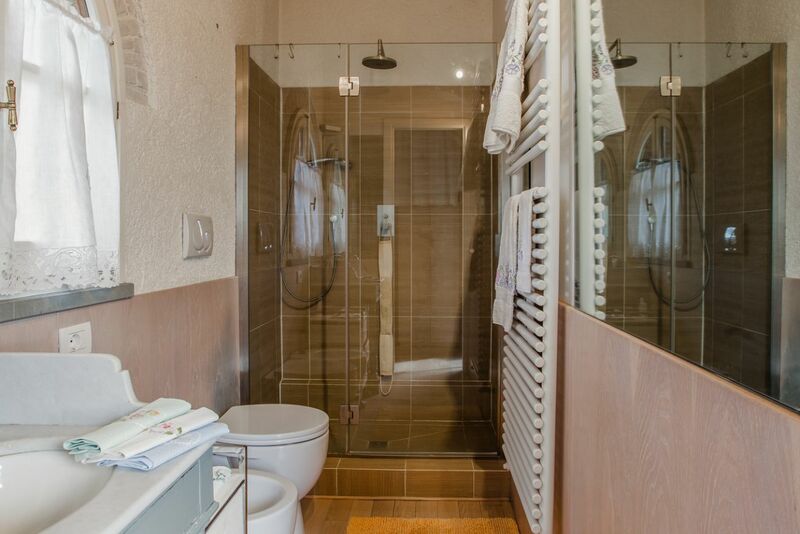 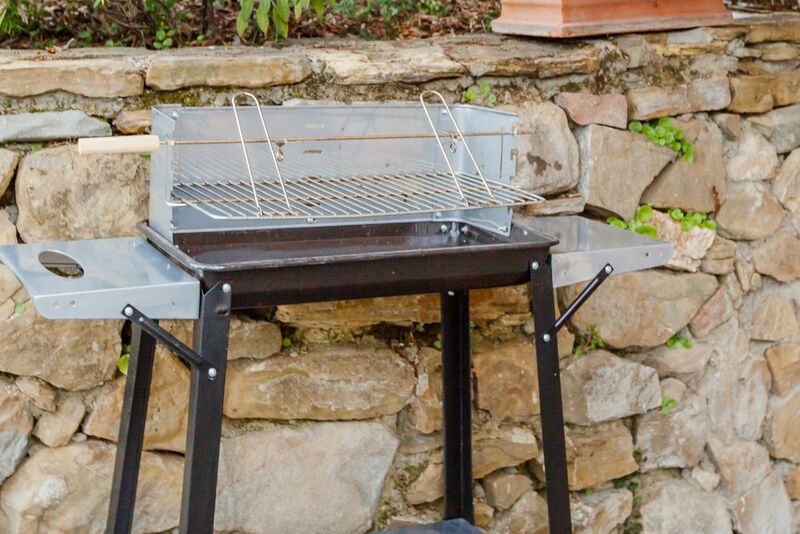 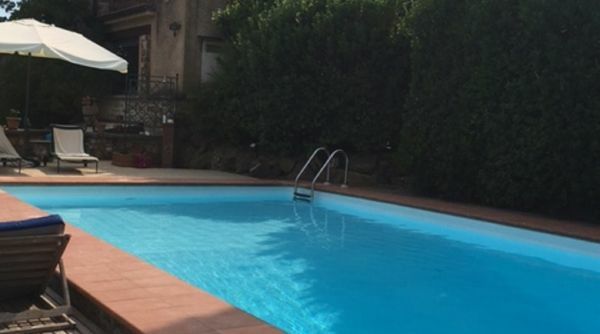 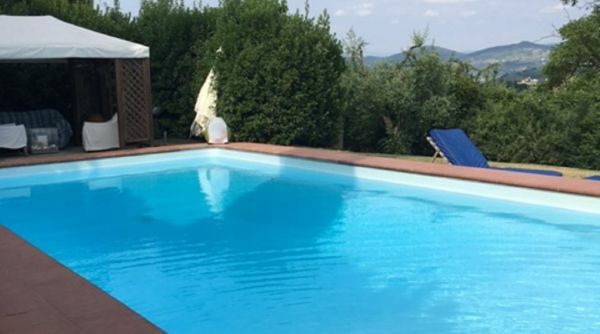 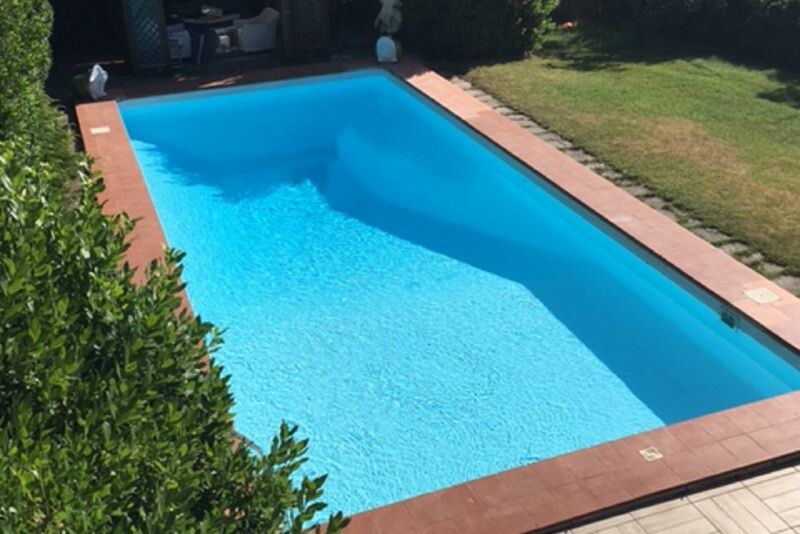 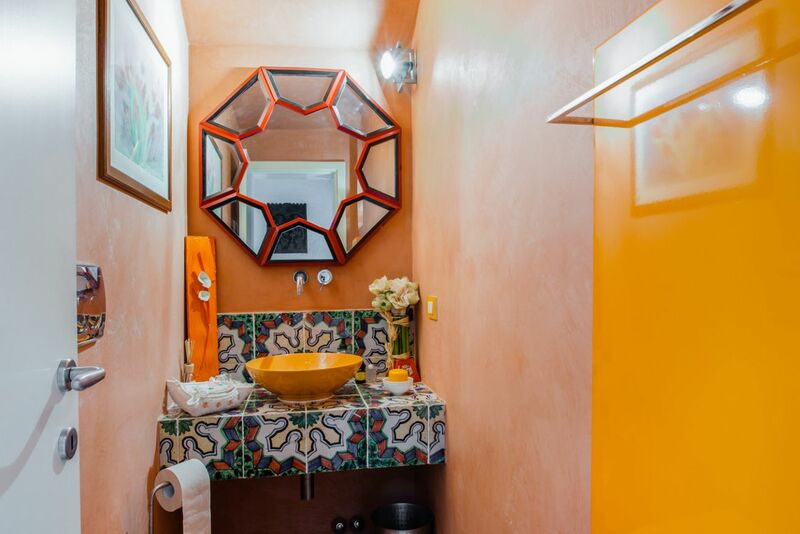 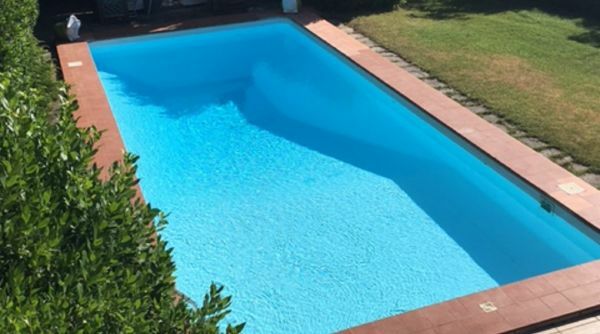 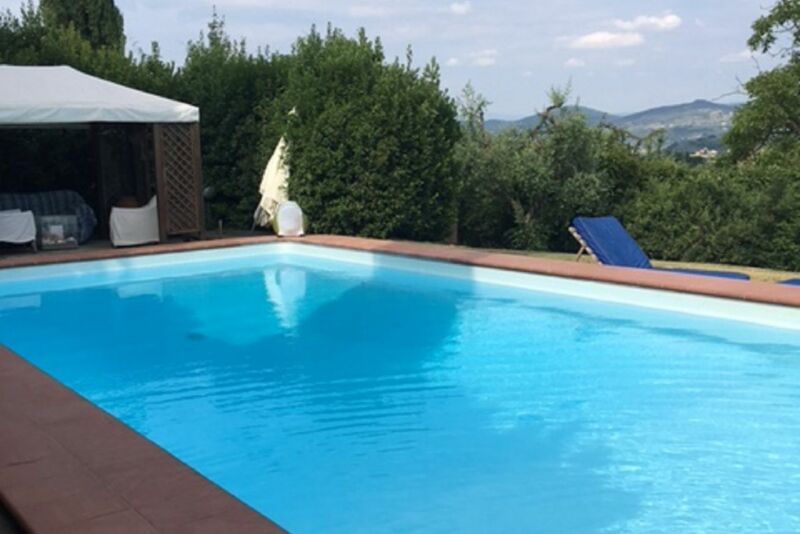 Here you are just a few steps from the swimming pool, solarium with an umbrella, sun loungers, warm showers, a gazebo and cabin where you will always find fresh towels.